Update: there's now an embedded video player. I wish! But all work and no play makes Aida something something. So it's nice for our colleagues to just spend time with our players in a more personal way. 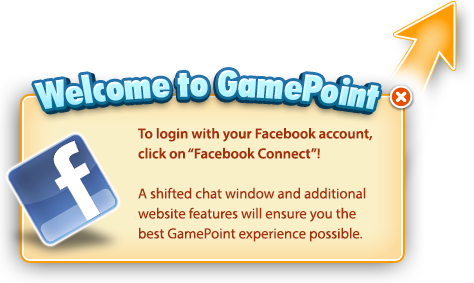 The link should direct you to www.facebook.com/GamePoint <- but here it is typed out for you to copy-paste into your browser. I am very pleased to see more variety! KEEP UP THE EXCELLENT UPGRADES!!! *side note: if the upgrades are for Facebook then what about here?